This entry was posted on March 18, 2013 at 12:17 pm and is filed under reading. You can follow any responses to this entry through the RSS 2.0 feed. You can leave a response, or trackback from your own site. A fascinating book. I too loved every page of “West with the Night,” and of Mary Lovell’s “Straight On Till Morning” as well. 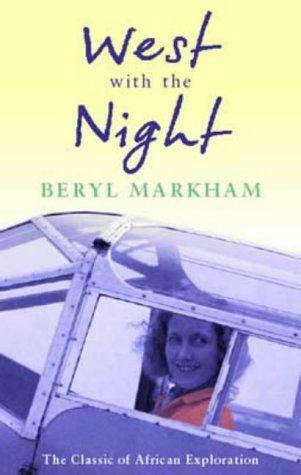 And there is yet a third book for those who want to learn everything that can be known about Beryl Markham. That’s “The Lives of Beryl Markham” by Erroll Trzebikski. See http://www.unc.edu/~ottotwo/authorandhero.html for a comprehensive — and also fascinating — essay about the three books and the things they contain or omit. Correction: It should be Errol Trzebinski. Sorry.